After three years of conversion of our vineyard, we are pleased to announce our organic certification from vintage 2012. In Europe organic wine only exists officially since 2012. Previously, there was not, strictly speaking, "organic wine", but wines made from grapes "from organic agriculture." The goal of organic agriculture is to respect the land, the products and the consumer to offer health products that respect of the land. At Chateau Tuquet Monceau we strive to apply these rules strictly. More informations and rules, just follow this link : lien. 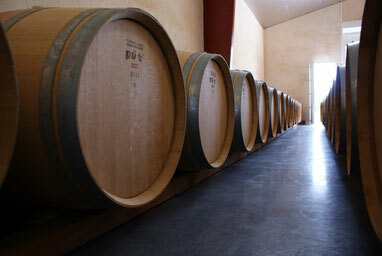 Our Bergerac rouge vintage 2012 was put into these barrels of 225 liters a few weeks before this photo was taken. The wine will age for another 10 months before the blending. 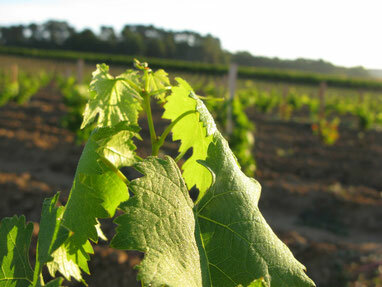 Summer is here, the vines are growing fast and we must offer great care to them.